The primary objective of stock market formula plans is to place you, the investor in a continous profit position. Investing in the stock market can be a little like throwing dice - it’s all down to the luck of chance. 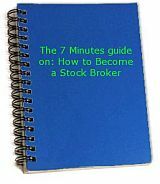 However, there is one group of investors who believe they have the stock market system beat - and to do it they use formula plans to tell them when to buy or sell stocks. What are stock market formula plans? Basically they use certain company economic indicators to judge whether or not the stock is a good investment. In particular, investors who use the stock market formula as part of their stock market system rely on the declared dividend income that the company is paying to stockholders each year to determine the strength of the stock. In this way, provided the dividend returns are rising each year, investors will consider the stock as a good investment and that future returns in investing in the stock are favourable. Moreover, compounding on the formula method, by re-investing the dividends paid in stocks, investors using this system can increase their returns year-on-year. Are there any problems with this type of stock market system? The inherent problem with using formula plans are two-fold. First, in order to succeed, the investment relies heavily on a previous track record. As such, new stock issues cannot be included in this system - as no track record exists. Second, if, for any reason, declared dividend income payable goes down, then the whole formula is washed-up and time has come to sell the stock. The problem here is that by the time the company declares its stock dividend, most of the other investors will have sold their positions and finding a buyer to purchase your stock, which you will have compounded over time, may be problematic. For this reason, some see stock market formula plans as putting ‘too many eggs in one basket’. But what type of investment system doesn’t? On the upside, stock market investments using the formula method does guarantee that even where stock prices may not increase in value year-on-year, you still increase your dividend payment. As such, your investments are free of market sentiment than would otherwise be the case. More importantly, as your dividends increase, so does your investments as you re-invest this sum.